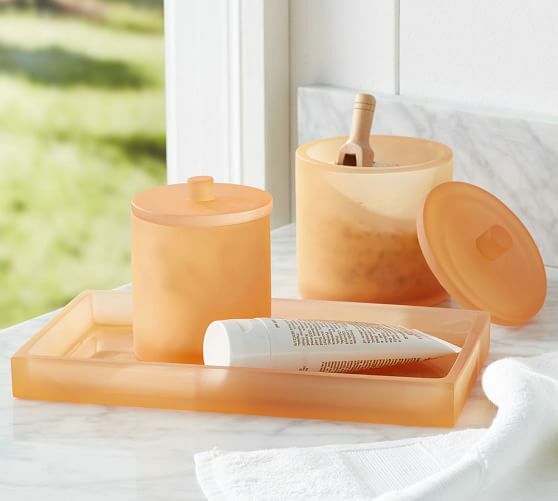 Whether you coordinate a mix or choose one signature hue, these Serra Mix and Match Bath Accessories will brighten the bath. $17-$55. Buy here.